Four Seasons Orlando guests can enjoy longer FastPass+ Selection Window and Extra Magic Hours benefit. The AAA Five Diamond Award rated Four Seasons Resort Orlando at Walt Disney World Resort is pleased to announce that through 2018, in addition to offering the Extra Magic Hours benefit, with valid Walt Disney World Resort theme park admission resort guests will now also have the opportunity to make FastPass+ selections up to 60-days in advance of their stay. All guests with a confirmed reservation at Four Seasons Resort Orlando can link their hotel reservation on MyDisneyExperience.com, and with a linked, valid theme park ticket, these guests can utilize a 60-day booking window for FastPass+ selections. 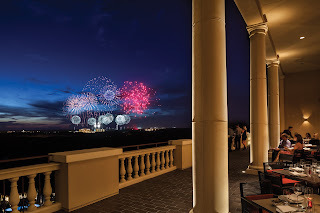 Capa, the resort's award-winning rooftop restaurant, includes views of the nightly Magic Kingdom Park fireworks. The Extra Magic Hours benefit means that each day Four Seasons Resort Orlando guests can enjoy select attractions as one of the four Walt Disney World Theme Parks opens early or extends later, and during select dates, the Extra Magic Hours benefit may also be offered at a Disney Water Park. Guests can view the Extra Magic Hours calendar at disneyworld.com/parkhours, or request a copy of the printed Times Guide, available in the lobby. "We are very pleased to offer these additional Disney enhancements to our guests," said Thomas Steinhauer, regional vice president and general manager of Four Seasons Resort Orlando. "Four Seasons guests will love having additional planning time, and will surely enjoy more fun in the parks provided by the Extra Magic Hours. Plus, with the on-property diversions including a 5-acre water park, guests will be ensured an unforgettable summer vacation." 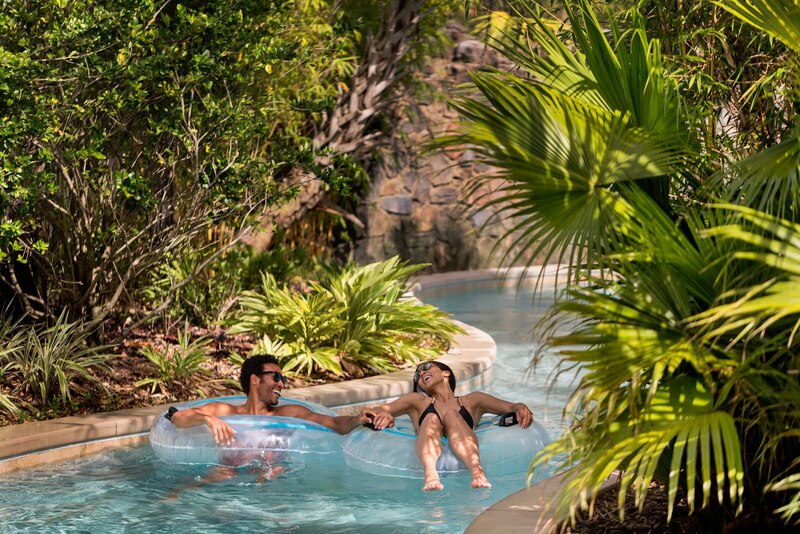 For a vacation to Walt Disney World Resort in perfect balance, guests can enjoy the Disney parks along with Four Seasons' many on-site recreational activities. Parents can also enjoy a break while children ages 4-12 opt to spend a few hours, or the whole day, at Kids For All Seasons, open daily from 10 am to 6 pm. Since the resort's opening in 2014, Four Seasons Resort Orlando has provided guests with wonderful connectivity to Disney. 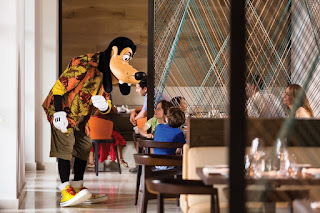 In addition to the new Extra Magic Hours benefit and FastPass+ selections up to 60-days in advance, the resort also provides guests with a Disney Planning Center in the lobby; a twice-weekly Good Morning Breakfast with Goofy & His Pals character breakfast; opportunity to incorporate Disney characters and world-class event production in private events; same-day merchandise delivery to the resort from the Disney parks; and views of the Disney fireworks nightly from Capa restaurant and select guestrooms. Walt Disney World has a powerful magic that provides an experience like no other vacation! At Disney's Animal Kingdom Theme Park, Pandora—The World of Avatar continues to thrill and inspire. Also not to be missed is the grandest of finales at Magic Kingdom Park with Happily Ever After — the newest, most spectacular fireworks show in the park's history! Amazing festivals happen nearly all year long at Epcot, including inspiring displays at Epcot International Flower & Garden Festival, the culinary indulgences of the Epcot International Food & Wine Festival, and finishing off the year with the Epcot International Festival of the Holidays. "Toy Story" pals can't wait to have theme park guests join them in Toy Story Land, opening June 30, 2018 at Disney's Hollywood Studios. Kids and grown-ups alike can experience all-new adventures in the so-much-larger-than life setting of Andy's backyard. Four Seasons Resort Orlando at Walt Disney World Resort has a stunning location set within the residential community of Golden Oak at Walt Disney World® Resort, just five miles (eight kilometres) from the Magic Kingdom Park and four miles (six and half kilometres) from Epcot. Accommodations include 443 guest rooms, including 68 suites with versatile connecting options ideal for families and groups travelling together. In addition to a wonderful connectivity to Disney, the resort offers six restaurants; the Tom Fazio-designed Tranquilo Golf Club, newly enhanced with a $2.5 million practice facility; three Har-Tru tennis courts; a five-acre Explorer Island water park complete with lazy river and recreational area; an adult-only pool; and a sumptuous Spa with 18 treatment rooms and two Tranquility Lounges. For more information about Four Seasons Resort Orlando, or to make a reservation, call 1-800-267-3046 or visit www.fourseasons.com/orlando.